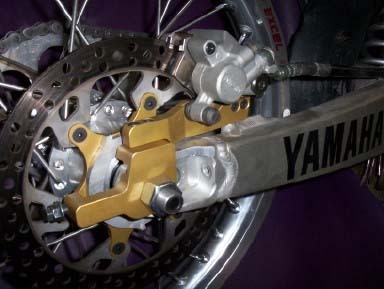 The Quick Change Adapter Kits are a wonderful addition to any race bike. Each kit is specifically designed to work with most quick change wheels. 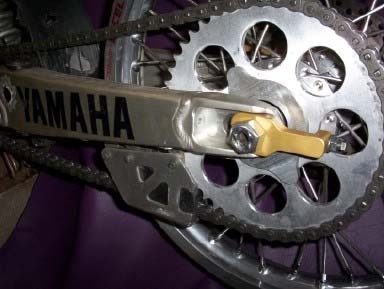 The right-side bracket and chain adjuster are designed to fit on the manufacturer's stock swing arm. 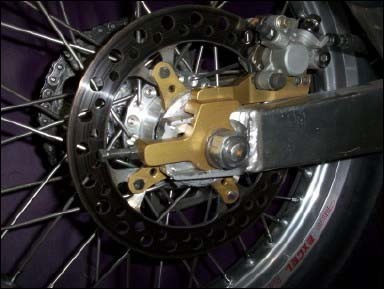 This design holds the brake components while the rider removes the rear tire to make adjustments. 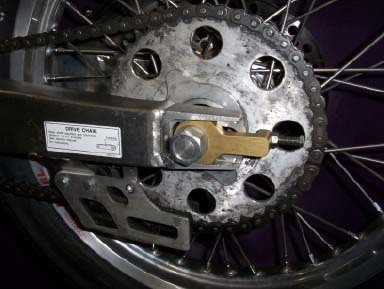 The chain adjusters also have predrilled holes at their narrowest end for the chain adjustor bolts to function properly. 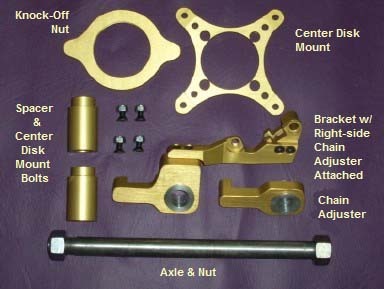 This kit reflects the Honda® center disk mount. The Yamaha® center disk mount has six extentions.